The Kinks legendary singer and songwriter comes to Portland July 15. At least it’s not a mug shot. When the Kinks touched down at PDX International Airport in the fall of 1980, chief singer and songwriter Ray Davies had a special welcoming committee—the fuzz. Rolling Stone writer Kurt Loder reported that the man responsible for incomparable hit songs like "You Really Got Me," "Lola," "Waterloo Sunset," and "Tired of Waiting," was hauled off to the pokey because members of the law enforcement community were under the impression that the rock icon was, in fact, a fake. A bogus Ray Davies, who had passed bad checks and even impersonated the Kinks leader at an in-store promotional appearance, had been eluding capture for some time. Fortunately, the genuine Davies was released in time for the show. Gregarious Cline, a local entertainer, deejay, and lead singer of the Kinks tribute band the Young Eduardians, thinks that Portland and Davies got off on the wrong foot and wants to make amends. "We’re getting July 15 declared Ray Davies Day (or "Ray Day") in Portland, because that’s when Ray will be in town to play at the Aladdin Theater," he says. Cline has received the blessing of the mayor’s office and is working on a host of commemorative activities including a screening of Return to Waterloo, a 1984 film written and directed by Davies, and a celebratory rock show featuring his band the Young Eduardians (among others). Cline says that thus far, the people he’s talked to within Davies’s camp are quite keen on the idea. The whole situation is practically a dream come true for Cline, a truly obsessive Kinks fan. "When I sing a Kinks song, I feel like I’m being guided by angels toward this heavenly, melancholy bliss," he tells me, adding that prominent Portland bands like Minus 5, Quasi, and Wild Flag are dedicated followers of the Kinks oeuvre. More details as they materialize, but don’t forget to mark July 15 as Ray Day with the biggest magic marker you can find. 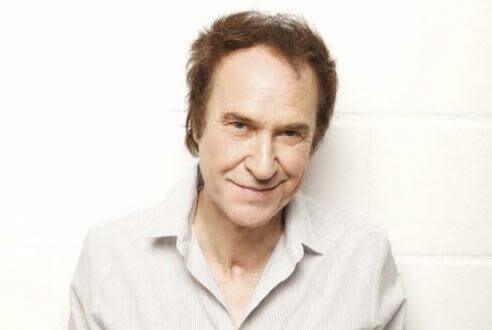 By the way, today is Ray Davies’s 68th birthday. Happy birthday to a "Well-Respected Man." In the meantime, tell me your favorite Kinks song. I myself am quite partial to "Waterloo Sunset" and "Till the End of the Day."